Welcome to the Zero Ballistics homepage! Zero Ballistics is a unique blend of first person shooter and tank combat, focusing on multiplayer gaming exclusively. To learn more about the details, read the Game section. We are glad to announce that a freeware and open source version of Zero Ballistics is now available. To download the free version go to the Downloads section. Deathmatch and Team Deatchmatch modes are available and if your graphics card supports shader model 2.0, then there is no reason why you aren't already downloading the open beta of Zero Ballistics and start playing right now! Have fun and come back to check for the first of many updates introducing new features. Please feel free to leave comments in our Forum, good ideas are always welcome. A short teaser is available at the Videos section showing upcoming features. An updated beta version of Zero Ballistics has been released. You can find it at the Downloads section. 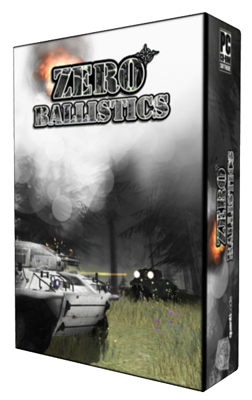 A beta version of Zero Ballistics is available for download now!